BLOG UPDATE: GIVEAWAY OVER THE WINNER HAS BEEN NOTIFIED. The holiday season is upon us and I have to say that I'm pretty darn excited to be spending my first Thanksgiving and Christmas in Honey Springs and owning my own coffee house. I've spent a lot of time transforming the inside of the coffee house to get ready for a fun day of Friendsgiving with my good friends on the newly revitalized boardwalk. What's Friendsgiving? I have a lot of friends here in Honey Springs. 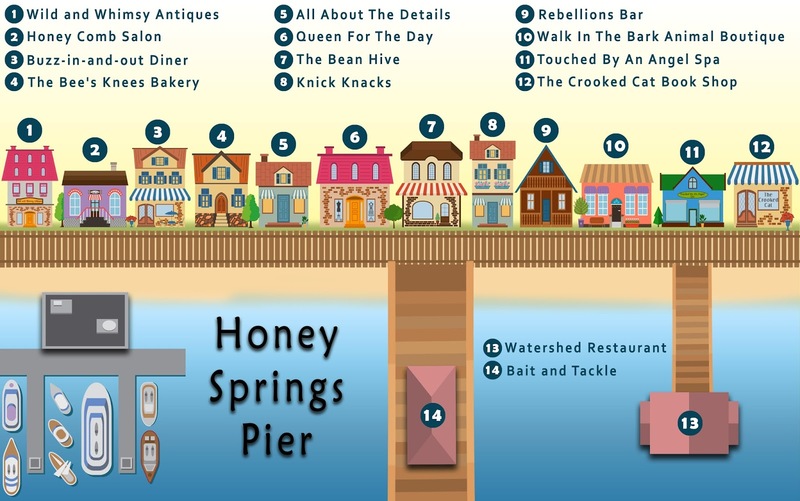 Of course I've got Aunt Maxi here, and now that my mama has moved to Honey Springs, but I've got more friends that'll be in my boat on Friday, November 24! Right here on the boardwalk doing the whole Black Friday thing. 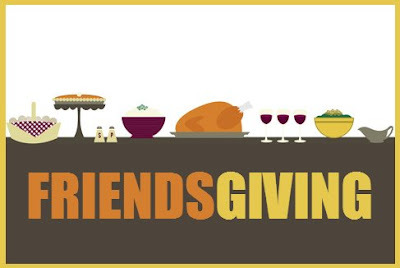 Since we'll all be here, open and ready for our Black Friday shoppers, we're having an all day Friendsgiving. Wild and Whimsy Antiques is having a big sale at their shop. They'll have a lot of antique Christmas ornaments as well as other decorations that you'll never find anyplace else. The Honey Comb Salon is going to have a special on mani/pedis along with some light cocktails. The Crooked Cat Book Shop has some really great sales on books and local merchandise. 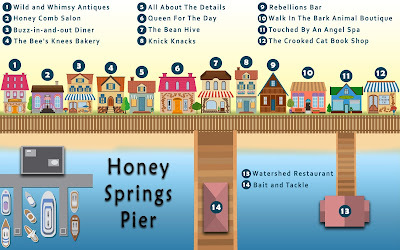 That's just three of the shops on the boardwalk. You won't want to miss The Bean Hive. I've got some wonderful Almond Honey Tea Cookies, where I've included the recipe below. You'll get to sample my very own Christmas Blend Coffee as well as Christmas Spice Tea. Bunny Bowowski and I have made an extra effort for you to come in, sit by the fire, relax your tired feet from shopping the boardwalk all day, and enjoy a little treat. Be sure to click here for a REAL day of Friendsgiving straight from Honey Springs, Kentucky where there are going to be many prizes and giveaways from your favorite cozy mystery authors on FRIDAY NOVEMBER 24TH!! 2. Cream Butter Flavor Crisco, milk, honey and almond extract in large bowl at medium speed of electric mixer until well blended. Beat in granulated sugar. 3. Combine flour, almonds and salt. Mix into creamed mixture. Shape dough into balls. Place 2 inches apart on ungreased baking sheet. 4. Bake at 350 degrees F. for 10 to 12 minutes. Cookies will not brown. Do not over bake. 5. Remove to cooling rack. 6. Roll slightly warm cookie in confectioners' sugar. Roll in confectioners' sugar again when cookies are cool. Are you going shopping on Black Friday? 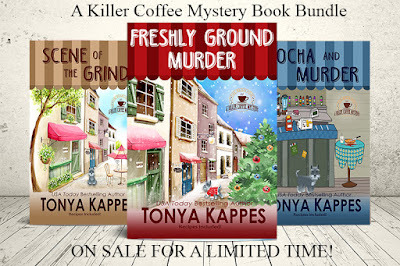 Leave a comment below and be entered to win a print copy of FRESHLY GROUND MURDER. 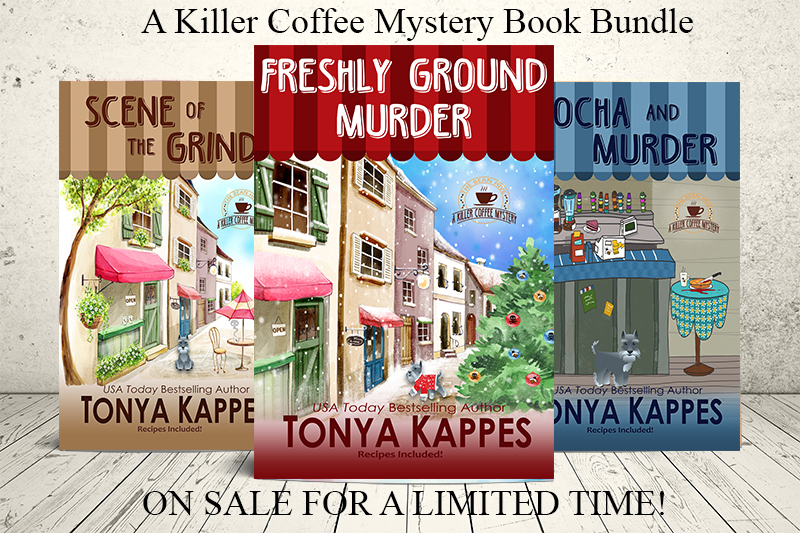 Did you know that you can get ALL THREE books in the Killer Coffee Mystery Series for only $9.99?? That's buy two get one free! This is the last week, so be sure to follow the link HERE to get your copy! Fun!! Sounds so much better than fighting the lines. I never go shopping on that day. Really?? I need to check that out. I love online shopping! So comfy with my slippers and coffee. No Black Friday shopping for me. No my hubby, daughter and granddaughter have to work on Black Friday and they have to deal with the craziness so I wont shop and add to it. I bet they have some good stories. I'm not going shopping on Black Friday. It is too much of a hassle and people get mean! I prefer Cyber Monday where deals are online. I'll be working on Black Friday. Only if there’s something at Home Depot that my boyfriend wants to pick up. That sounds like my husband. With all the craziness going on anymore I'll do my shopping on line..the crowds are nuts also..I'm too old to have patience with rude people. I know! I'm not sure why people are so rude. They know how crazy it gets months before! I may go shopping in the evening when it's a little less crowded. mcastor07(at)gmail.(dot)com. My cousins do this and love it. Me either! Online for me too. I avoid shopping on Black Friday. I start in October too. No black Friday shopping for me. I hate shopping under the best of circumstances. I'm not a shopper either. If I do go shopping on Black Friday, it will be later in the day after the crowds have thinned out. I do most of my shopping before Thanksgiving usually. I try to get the bulk of mine done before Thanksgiving too. I work all day on Black Friday to cover all the others that wish to go shopping in the insanity. I hide from the crowds on Black Friday---and prefer to shop when the stores are quieter and calmer. My sister and I will be going to a few local stores, but staying away from the big stores and malls. Fun! I do love those little stores. Small business Saturday is so awesome! I will be shopping at two or three local stores on Black Friday. I hope you find some good stuff. I'm not a fan of Black Friday shopping. I'd rather do my shopping online. Probably not shopping of Black Friday. I'm not going to do any Black Friday shopping. I don't like crowds. Plus, there's nothing I need to buy and no extra money to buy it.